Edison State and community volunteers work with students Monday through Friday in the After School Program. Community support will make it possible to bring in professional tutors to help meet student needs. 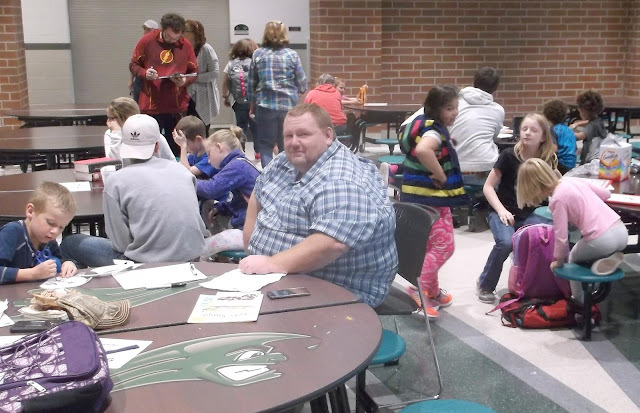 GREENVILLE – The Empowering Darke County Youth Board of Directors and the students it serves thank the Ketrow Foundation for its support of the Empowering After School and Summer Tutoring programs. The Ketro Foundation is active in the support of the Darke County Community, with donations to the Darke County Center for the Arts, The Cancer Association of Darke County, Darke County Parks and more. The Empowering Board truly appreciate its adding Empowering programs to its support. Empowering Darke County Youth is in its second full year of tutoring support to Darke County students. According to parents, almost without exception the students are getting better grades and enjoying school more. All services are free thanks to Edison State student volunteers and the continuing support of organizations like the Ketrow Foundation, businesses and individuals. Empowering Darke County Youth is a United Way Partner Agency. The Empowering After School Program currently provides tutoring to Greenville K-6 students, while the Summer Tutoring Program is available to all Darke County students from kindergarten through sixth grade. For more information on how you can help, email empoweringdarkecountyyouth@gmail.com or message the Empowering Darke County Youth Facebook page. The Empowering Mission: Empowering Darke County Youth provides After School and Summer Tutoring programs to assist students in the areas of language arts and math with the goal of Strong Students for a Strong Community.